As part of the main programme of this year’s London Festival of Architecture, the Embassy of Brazil is hosting the exhibition RAW – New Brazilian Architecture, curated by the London-based Brazilian architect Ricardo de Ostos. RAW aims to reveal emerging talents in Brazilian architecture through a display of recent projects shown alongside works by more established architects. The exhibition will also feature projects by architecture students from various Brazilian universities, who were encouraged to produce work in response to a brief formulated by the exhibition’s curator. The exhibition will focus on buildings and spatial experimentations which dare to propose new visions and challenge the way Brazilians live. 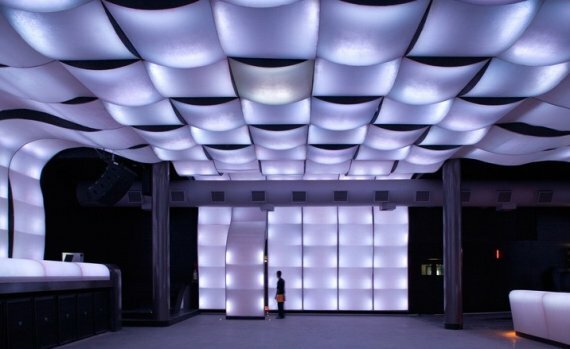 Below is the interior of Club NOX in Recife by Metro Arquitetura and Juliano Dubeux.